Looking for a New Chevrolet Silverado 1500 in your area? CarGurus has 3,145 nationwide Chevrolet Silverado 1500 dealers with 242,158 new car listings. Pickup buyers tend to declare loyalty to one brand and stick with it, no matter what. Their choice in a truck becomes a part of who they are, a way of life, and a source of pride. When it comes to the redesigned 2019 Silverado, Chevy fans will no doubt be rightfully proud of their new truck, and not just because they’ve declared allegiance to the gold bowtie. Ultimately, when the full lineup is on sale at your local Chevy dealer, the 2019 Silverado will be available in regular, extended, and crew cab styles paired with short, standard, and long cargo beds. Trim levels include WT (Work Truck), Custom, LT, RST, LTZ, and High Country, with new Trail Boss versions of the Custom and LT supplying a lifted off-road suspension and an appropriately rugged appearance. My test truck was the LT Trail Boss with a standard bed, painted Northsky Blue and equipped with Jet Black leather upholstery. It had most of the LT Trail Boss' available option packages, along with black off-road-design assist steps. These upgrades brought the truck’s price from $48,600 (not including the $1,495 destination charge) to $57,090. With the 2019 Silverado, Chevy swaps the previous truck’s squared-off design for a sleeker and more rakish look. The front end is blunt, the hood is short, and the cab is pulled forward. Lean and mean, yet modern and clean, the Silverado is good looking—especially in lifted and blacked-out Trail Boss specification. Inside, the new Silverado looks too much like the old model, which instantly dates the cabin. In Jet Black, there is precious little contrast, too, making it look and feel like a big, roomy cave. Remember how I said that pickup trucks must serve a multitude of budgets and purposes? That’s evident when it comes to interior materials. Although my test truck had soft-touch upper-dashboard and front-door-panel trim, most of the interior panels were plastic suitable for a Work Truck. While this is also appropriate in the rugged LT Trail Boss, it is still hard to accept at the test model’s price point. 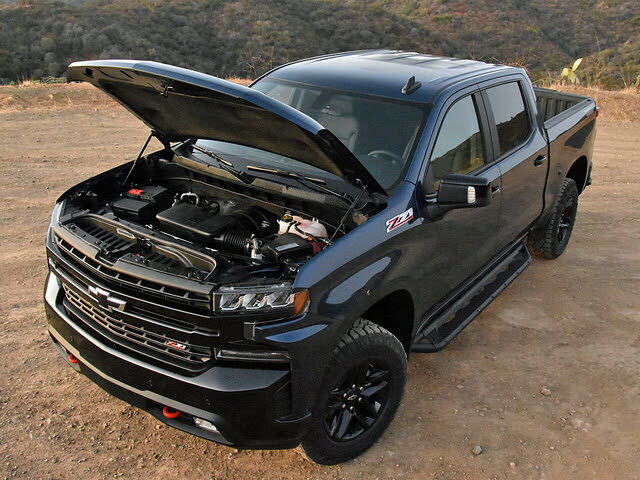 Once Chevy rolls out the new Silverado’s entire engine lineup, there will be a turbocharged 2.7-liter 4-cylinder, a turbocharged 3.0-liter 6-cylinder diesel, a 4.3-liter V6, two versions of a 5.3-liter V8, and a 6.2-liter V8. Depending on cab style, bed choice, engine selection, and equipment, the new Silverado can tow up to 12,200 pounds and haul as much as 2,250 pounds of payload. 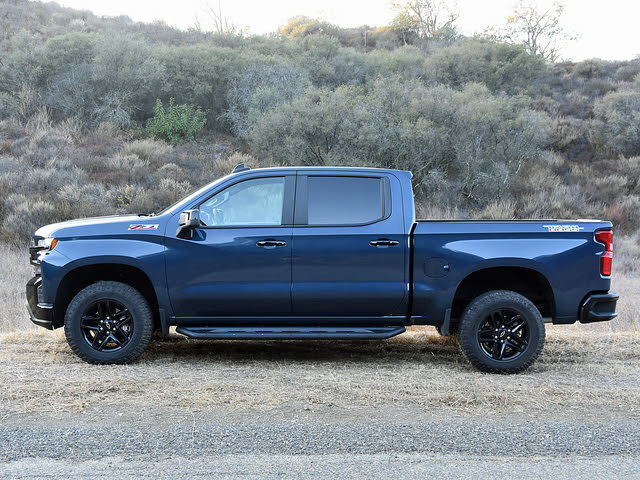 My LT Trail Boss test truck had a 5.3-liter V8 engine equipped with Chevrolet’s new Dynamic Fuel Management (DFM) cylinder deactivation technology and an automatic engine stop/start system. Rated to deliver 355 horsepower at 5,600 rpm and 383 lb-ft of torque at 4,100 rpm, it is paired to an 8-speed automatic transmission and capable of towing 9,500 pounds. Acceleration is strong, and the majority of the time the transmission worked flawlessly. On a few occasions during my week with the truck, harsh upshifts into second gear were evident. While driving, I didn't notice the DFM nor the automatic engine stop/start systems. Based on official EPA fuel-economy ratings for this truck, I expected to get 17 mpg. I came nowhere near that figure, even when driving primarily on the highway. On my test loop, running the truck in rear-wheel drive (RWD), the Silverado returned 13.8 mpg. On video shoot day, which involved extended freeway driving to a distant location due to the fires that engulfed Southern California, the truck never broke an average of 15 mpg. Either the DFM system in my early-build test truck was non-operational, or the EPA’s fuel-economy estimates are wildly optimistic. Out of curiosity, I dug up the data from my last road test of a Silverado. Back in 2015, I tested one with 4-wheel drive (4WD) and a 6.2-liter V8 engine. It got 16.1 mpg on the same testing loop. Aside from this disappointment, the 2019 Silverado is satisfying to drive. Architecturally, it feels much stiffer than the previous version, better buttoned-down to the ground. As a result, you wind up driving faster than you expect. At 75 mph, my LT Trail Boss felt like it was going 60 mph. Confidence-inspiring steering and braking make this hulking truck easier to drive in urban and suburban environments, though the Goodyear DuraTrac all-terrain tires produce a constant thrum. People drawn to this off-road-ready version of the Silverado are likely to enjoy that, though. Speaking of off-roading, the Trail Boss includes an Autotrac 2-speed transfer case. You can run the Silverado in RWD the majority of the time and switch to automatic 4WD, 4-Hi, or 4-Lo, depending on traction requirements. I tried tackling some light off-roading with the Trail Boss, but it didn’t take long before I caught one of those side rails on a big lump of dirt. This truck might be lifted 2 inches, but its long wheelbase nevertheless limits breakover angle clearance. Over less daunting terrain, the Trail Boss shrugged off gullies, holes, bumps, and crests, and bounced me around pretty well in the process. You might assume that full-size trucks are purchased for their towing and hauling capabilities, and that’s true when you’re talking about heavy-duty models. Light-duty pickups like the new Silverado, however, are more often bought just because the person wants it. Still, numbers amount to bragging rights, and the new Chevy’s 12,200-pound towing capacity comes up short compared to the Ford F-150, which tows up to 13,200 pounds, and the redesigned 2019 Ram 1500, which can tug as much as 12,750. The Silverado’s maximum payload rating of 2,250 is just shy of the Ram’s 2,300-pound rating, while the aluminum-bodied F-150 can carry up to 3,270. Chevrolet would counter this by reminding you that its new Durabed cargo box includes a floor made of roll-formed, high-strength steel that is less susceptible to damage. Additionally, it offers up to 20% more total volume than the competition, as well as 12 tie-down hooks, each rated for 500 pounds of force. Loading the bed is easy, too, thanks to larger bumper corner steps that are designed to accommodate steel-toed boots, and a new power-release aluminum tailgate (power-up operation is available to LTZ and High Country trims). Lifting the lightweight tailgate is easy, but it’s worth noting that in fierce Santa Ana winds, with the rear of the truck facing the direction of the wind, it could not power itself down. 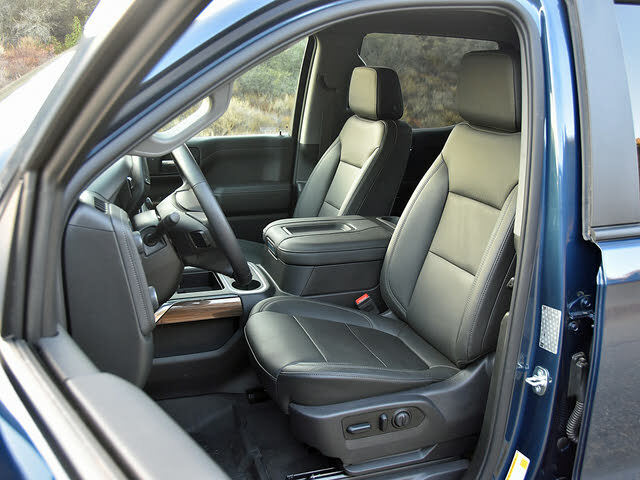 Inside, the Silverado provides lots of places to stash your things, which is typical of a full-size truck. The front seats are comfortable, the test model’s 10-way power adjustable driver’s seat facing a heated steering wheel. The front passenger seat also offered heating but had manual fore/aft and recline functions without any height adjustment at all. This, in a $57,000 truck? 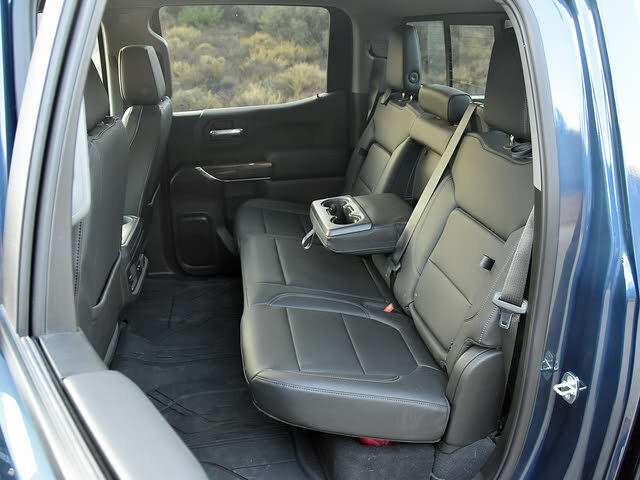 The Silverado’s backseat is downright cavernous, providing plenty of room for three burly passengers. Rear air conditioning vents and multiple power ports add comfort and convenience. 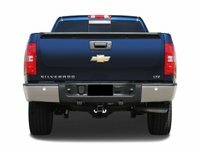 A new high-definition reversing camera is available as an upgrade in the new 2019 Silverado, offering three different views and guidance lines designed to make it easier to back up to a trailer and then properly line up the hitch. The new Silverado also includes the next-generation Chevrolet Infotainment 3 system, which offers better graphics and upgraded functionality while continuing to offer the same features that people liked in the old Silverado. They include a Teen Driver report-card system that can tell parents how their child drove the truck, a 4G LTE Wi-Fi hotspot, and both Apple CarPlay and Android Auto smartphone-integration systems. A Bose premium sound system is available for the new Silverado, as are HD Radio, SiriusXM satellite radio, and an embedded navigation system. That last feature is available only with LTZ and High Country trim levels, so you’ll want to use smartphone integration as your navigation solution in other versions of the Silverado. Safety is improved, too, with pedestrian braking, blind-spot monitoring, rear cross-traffic alert, and a following-distance monitor added to the Silverado for 2019. These join existing systems including forward-collision warning, automatic emergency braking, lane-departure warning, and lane-keeping assist. A Rear Seat Reminder system is standard, designed to prevent you from accidentally leaving a child or pet in the truck, and OnStar Safety & Security provides automatic crash-response service, among other things. Unfortunately, Chevrolet recently cut the free trial period for this service to just a month, and the monthly subscription plan is pricey. My test truck had the optional Safety Package, equipping it with front and rear parking sensors, a blind-spot monitoring system with a lane-change alert feature, and rear cross-traffic alert. I highly recommend it. As this review was published, the new Silverado had not been subjected to crash-test evaluations. However, given its new, stiffer frame and the old Silverado’s unimpressive Insurance Institute for Highway Safety (IIHS) crash-test performance, the truck is likely to improve in terms of occupant protection. Full-size pickups have gotten really expensive. It wasn’t long ago that a light-duty truck with a price tag over $50,000 reflected a luxury model. Yet my LT Trail Boss, admittedly loaded up with serious off-roading components and lots of option packages, topped $57,000. And it still didn’t have navigation, ventilated front seats, or a power front passenger seat height adjuster. The $1,495 destination charge doesn’t help. And once the hullaballoo over this redesigned Chevy subsides, big discounts, a norm in this segment, will deflate the price. But you’ll still contend with fuel-economy figures that don’t match EPA estimates, resulting in higher-than-planned fuel bills. You’ll also be getting a truck that doesn’t match or exceed its two primary competitors in terms of towing and hauling capabilities—whether you’re going to use all of them or not. 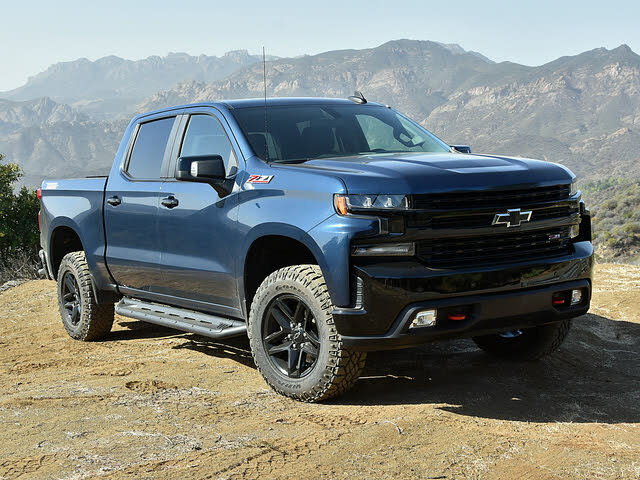 If you need a new 2019 Silverado for work or play, you can likely find a cost-effective version that meets your needs. But if you’re choosing something like the Silverado LT Trail Boss simply because it has the look and image you want, satisfying that itch won’t come cheap. 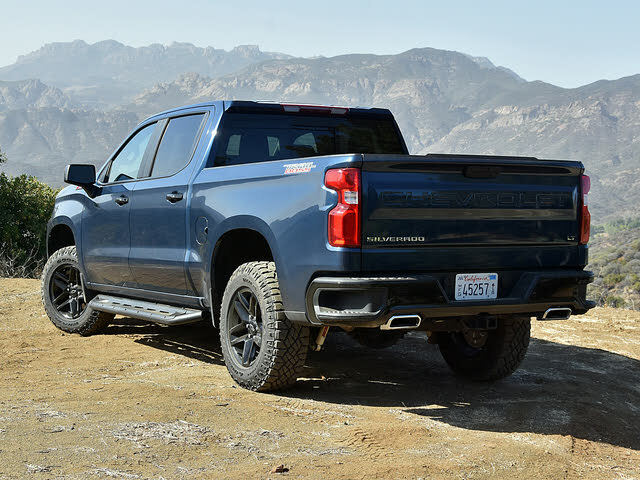 What's your take on the 2019 Chevrolet Silverado 1500? GuruWLZNB Sits too damn tall! They should offer a lowered version with reduced load capacity. Chevy should look to the early 70 models!!!!!!! GuruVC7Y2 I agree with GURUWLZNB, all new chevy trucks should be low riders! Adamsc The 2019 Silverado body style is horrible, one of the ugliest trucks I’ve ever seen. I had a 2012 and now own a 2016. I won’t buy a new one again if they look like that. 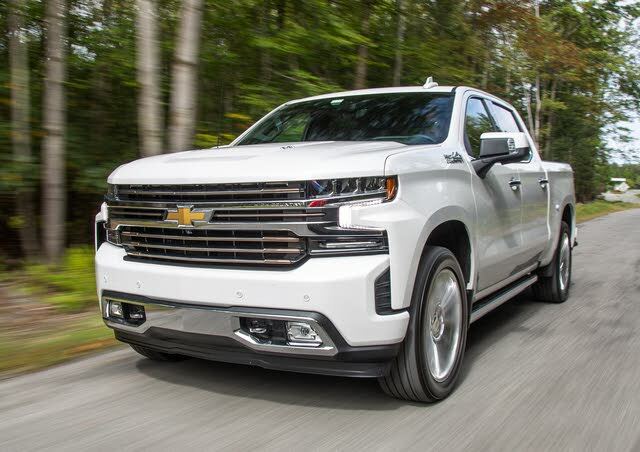 Have you driven a 2019 Chevrolet Silverado 1500? Enter your zip to see incentives for a new Silverado 1500 in your area. Do the rear seats fold down? I do know that they fold up.